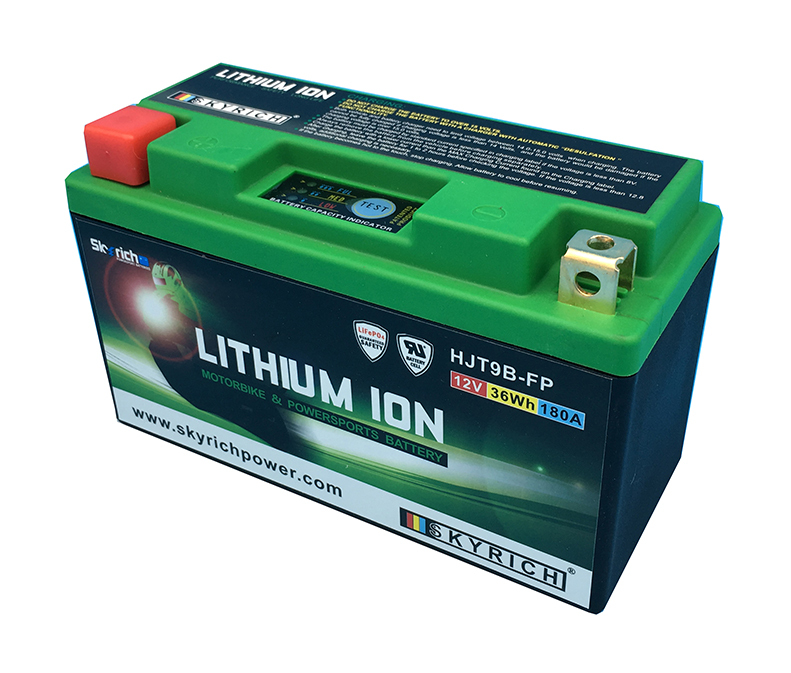 The HJT9B-FP lithium ion battery is a great powersport replacement battery. Get improved performance from your powersport vehicle by purchasing a Skyrich Battery. We stand behind our batteries; all of our batteries go through a rigorous quality control process. You can be assured that when you purchase a Skyrich battery you are getting high quality and high performance power sport battery at an affordable price.